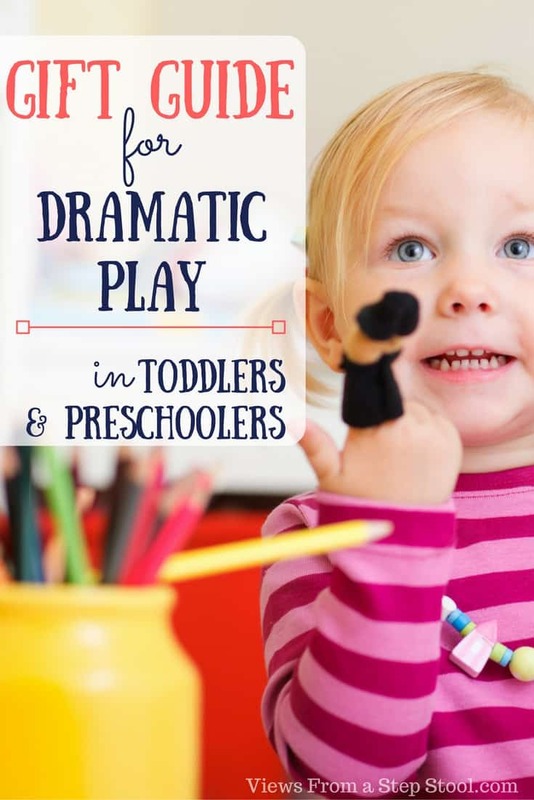 While from a purely kids’ experience standpoint, I really value and prefer process art. 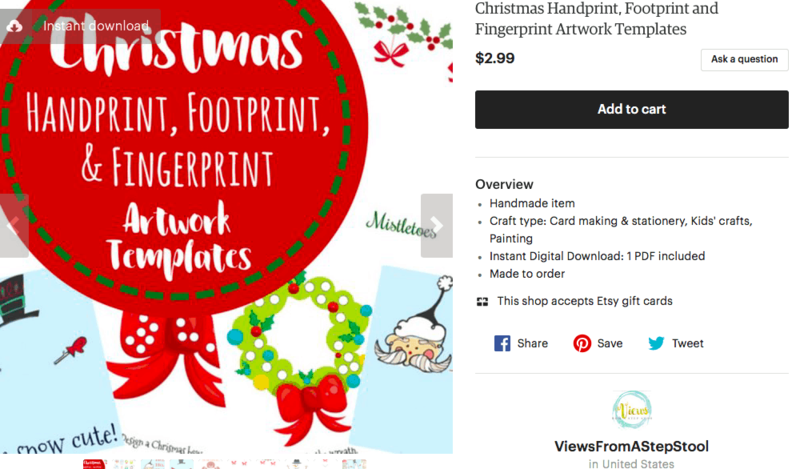 But, handprint and footprint art have a special place in my heart for selfish reasons. 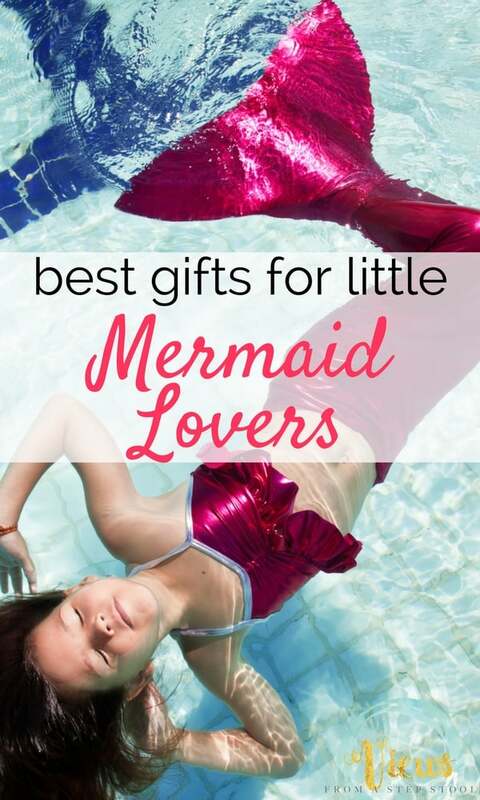 They make such adorable DIY keepsakes and gifts, especially for the holidays! 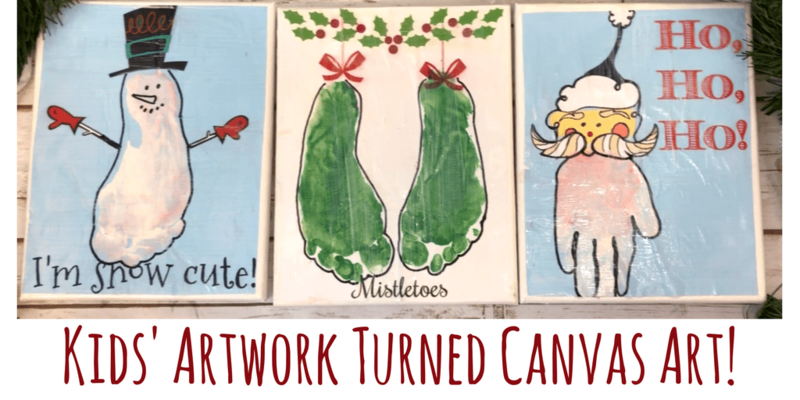 These Christmas canvas art wall hangings are perfect for either! 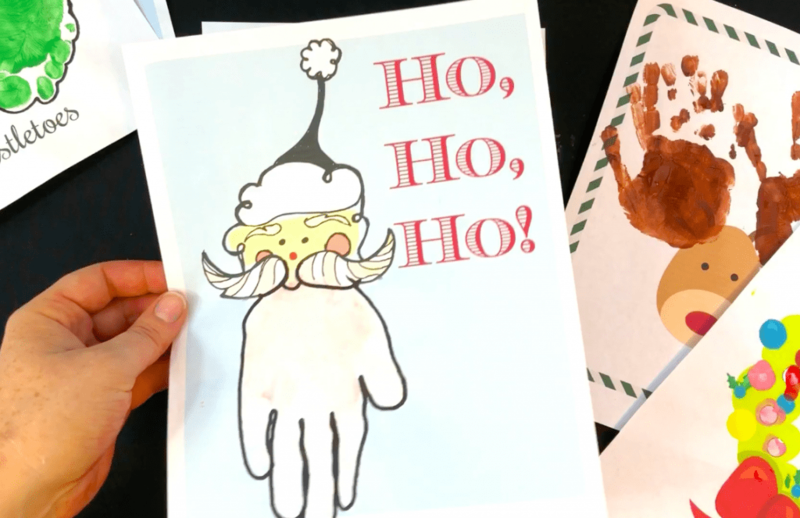 Grab some of our printable handprint and footprint artwork templates on Etsy to make these awesome Christmas-themed prints. 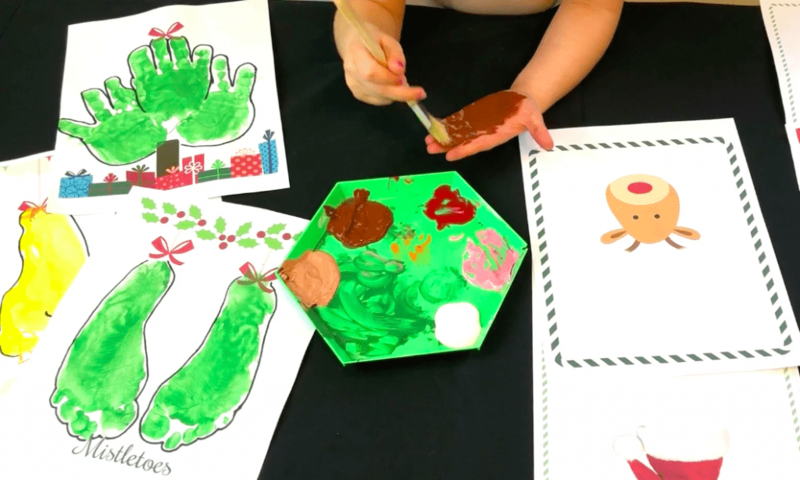 My kids really enjoy the sensory experience of getting their hands and feet messy, and making some fun art! 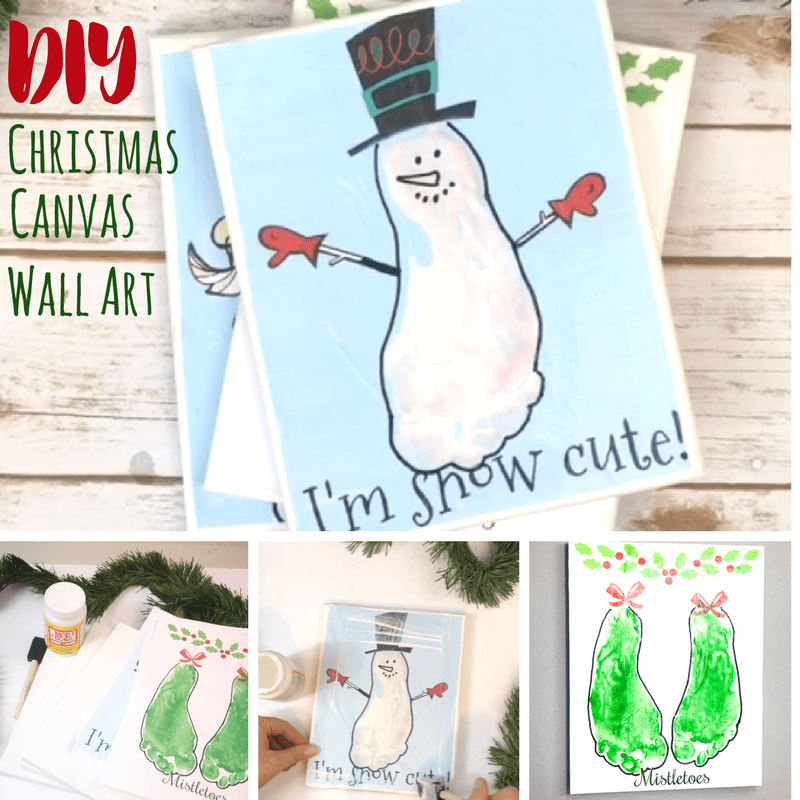 Make some awesome canvas wall art! 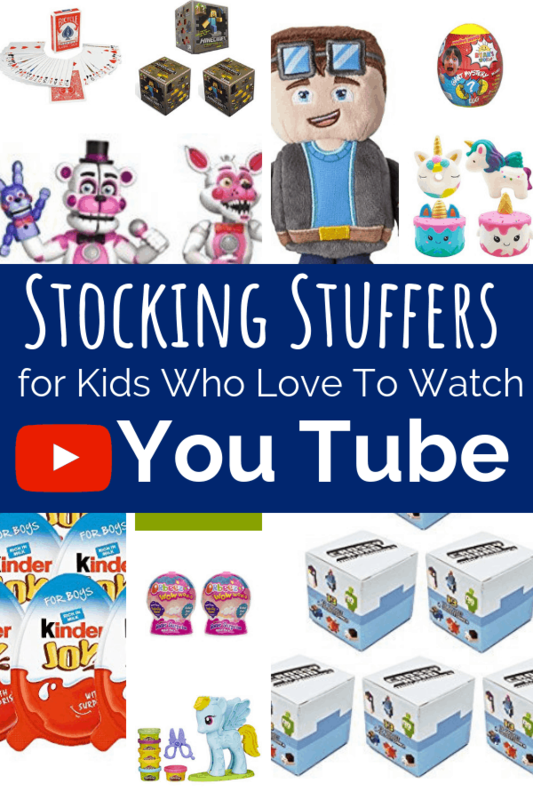 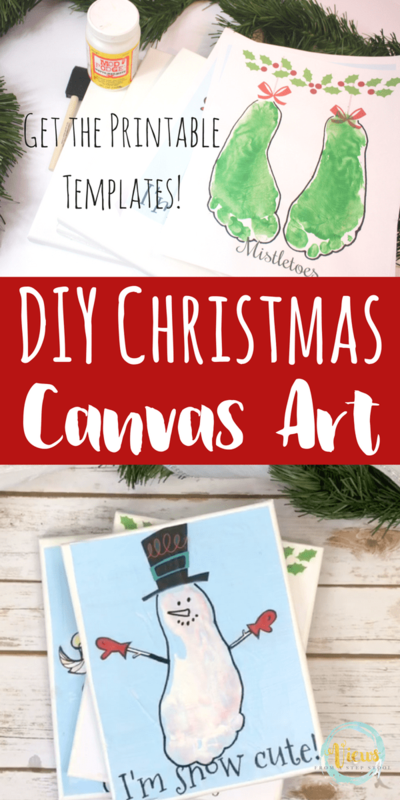 Once you have printed the artwork templates that you are going to use, and your kiddos have gotten good and messy, make some adorable Christmas canvas art just like we did in the video below! 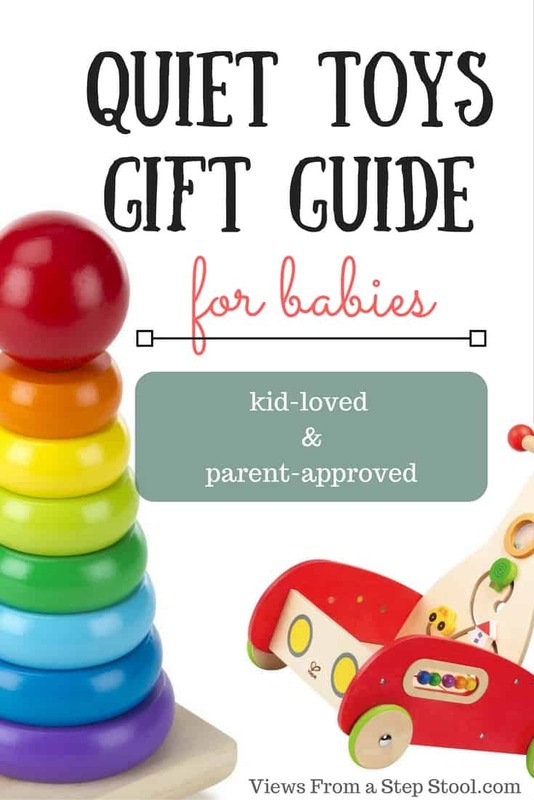 Wait until you see how easy this is (and how perfect for Grandparent gifts!). 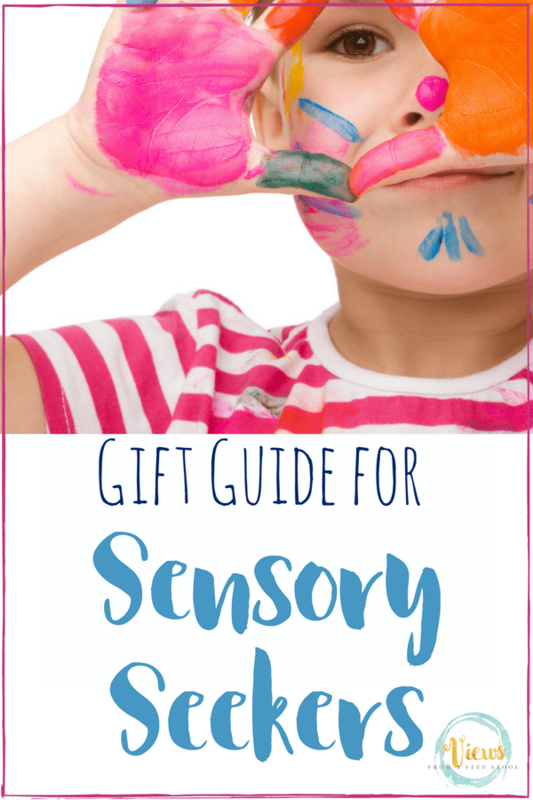 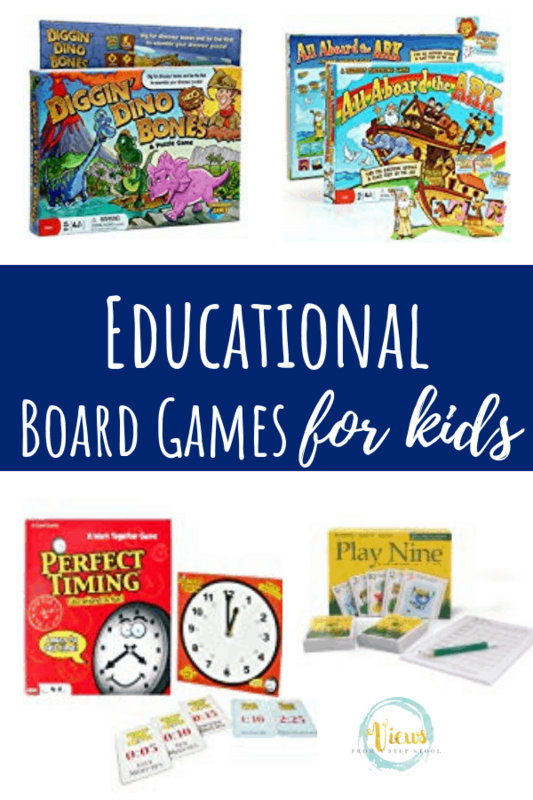 Gift Guide for Sensory Seekers: Impact Behavior While Kids Have FUN!